Testing is over and racing is soon, which also means it’s Team Presentation season. 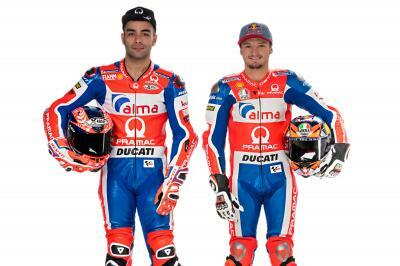 It was Alma Pramac Racing’s turn on Monday evening, with the Italian squad revealing their 2018 project in the Sala Olimpico at Lamborghini in Bologna, with Danilo Petrucci and newcomer Jack Miller on hand. 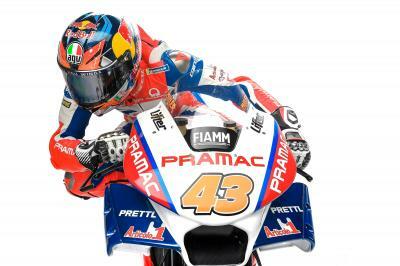 After some incredible podiums last year for Petrucci – including a few fights for the win – and the addition of premier class race winner Jack Miller, the team are on a high going into 2018. Miller, meanwhile, arrives for the first time this year. After some impressive results in testing as he gets to grips with the GP17 he’ll be riding, the Australian is settling in. After a positive test at Losail with both bikes in the top ten, the lights go out for the Qatar GP on Sunday.